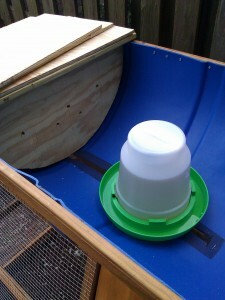 « Top Bar Barrel Bee Hive Chicken Coops! Being new to beekeeping, the most sure fire way to get bees for our hives was to order packages of bees from a bee supplier. Some people order them through the mail, we were fortunate to have a local beekeeping supply company near us in Northern Virginia called Virginia Bee Supply. They bring packages of bees up from larger apiaries and sell them on a weekly basis during the beginning of “bee season” (typically mid-late April – May). We called in early March and while sometimes packages of bees can be in short supply, we were fortunate that this year we were able to get our packages from one of their early shipments (last week of March). 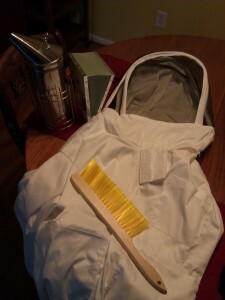 We also needed a smoker, bee brush, and veils which we also ordered from the supplier to be picked up with our bees. Each package includes approximately three pounds of bees and a queen bee. The package includes a can of syrup that the bees feed on during transportation. Next to the feeder hangs a separate queen cage that contains the queen bee. They are kept separate because the queen was not necessarily part of the group of bees in the package so they need time to get used to her. 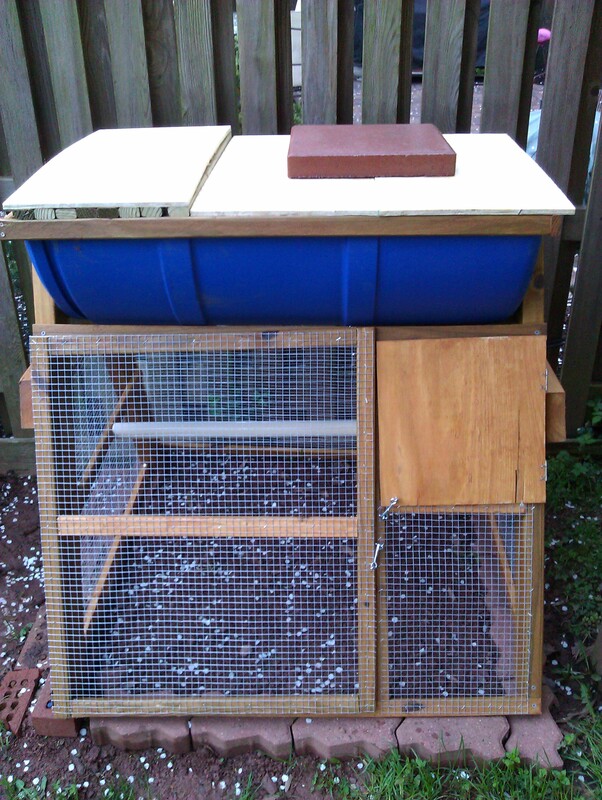 With the bees ordered it was time for final placement and some finishing touches on our bee hive chicken coops. We originally had the hives placed on some pavers but with our plan to have chickens underneath we decided to switch out the pavers for a brick lined enclosure for additional security of our hens. Earlier in the year we picked up a bunch of bricks from someone on craigslist to use as edging for the garden but had some leftover which worked perfectly for a nice level, secure, base of the hive coops. 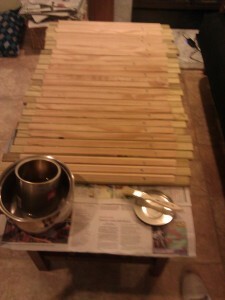 The next step was to prepare the inside of the hives for the bees. 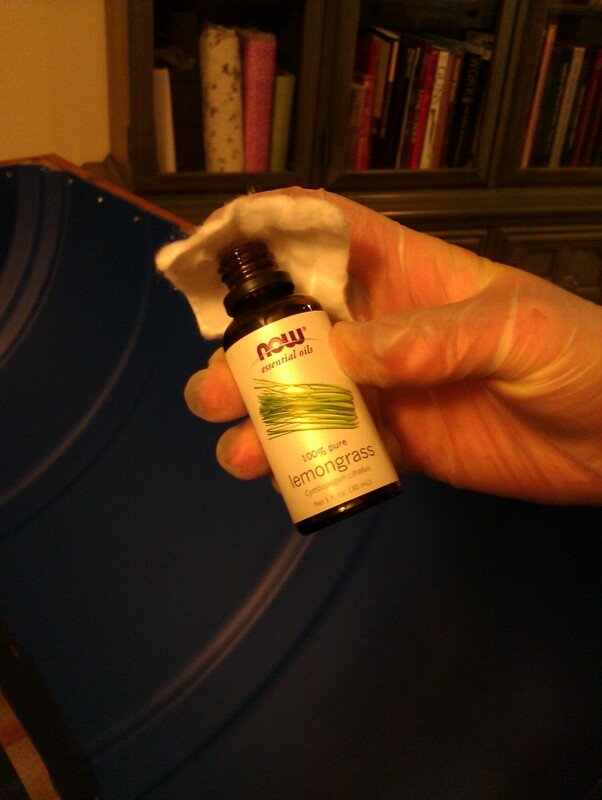 We read that the bees really like lemongrass essential oil so we wiped down the inside of the hives with a damp rag to clean them out and then wiped them down again with a cotton swab with a little lemongrass essential oil. I left the swab from each hive inside to keep the scent strong. 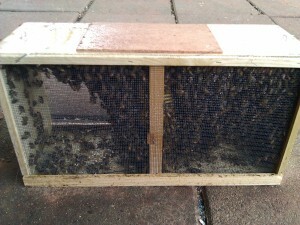 One of the most critical components of any top bar bee hive are the top bars! To get those ready for the bees we decided to give them a thin coat of beeswax along the part we wanted the bees to build their comb. 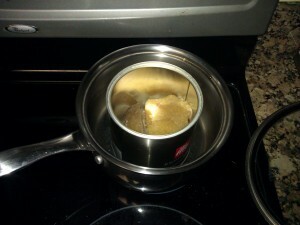 I ordered some organic beeswax and then melted it down using a home-made double boiler (tin can within a pot of water) so I wouldn’t get a pot I wanted to use for cooking covered in wax. I would say that a pound would be plenty for all the top bars for both hives. But error on the side of having too much because worst case you have extra beeswax you can then use for other fun projects later! 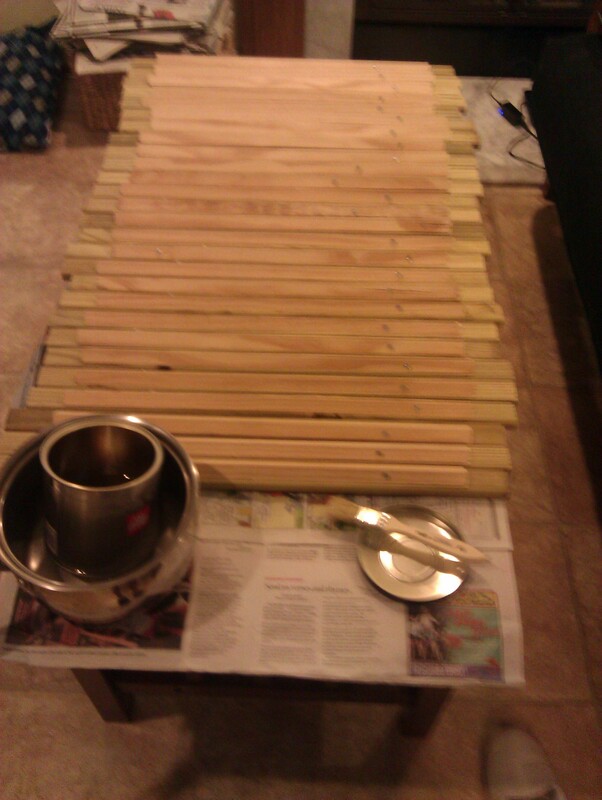 Using a regular paint brush I applied the melted beeswax to the top bars. It took a little while because I was distracted while watching a movie so the wax cooled and I ended up having to re-heat it a couple times during the process. 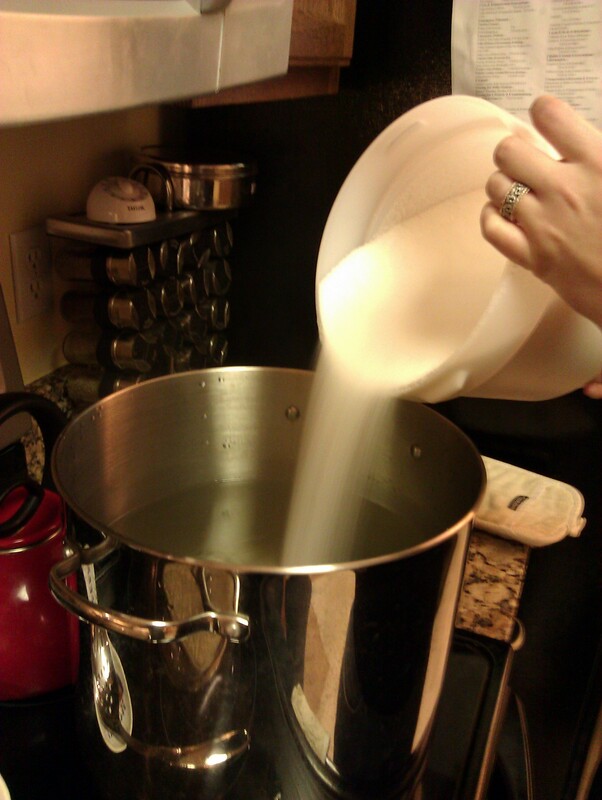 I recommend taking the can out of the hot water as you work so that you don’t drip on your cookware, or use a pan you don’t mind getting wax on. It was a really enjoyable process because the beeswax smells delicious, it makes you want to just bite into it! Since our package bees would not be as prepared to start a new colony as bees from a swarm (swarm bees load up on all the goodies from their old hive so its easier to get started at their new location, where as package bees are scooped from their home without any time to pack) we needed to give them a food source to help them get started. To feed them we made a syrup out of two parts sugar to one part water by boiling water then adding sugar and stirring it until it dissolved completely. 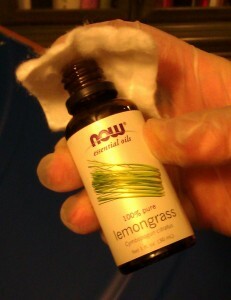 I also added a splash of the same lemongrass essential oil used earlier to add some extra flavor and nutrients for the bees. To deliver the syrup to the bees in our unconventional hives we decided to re-purpose some feeders we had originally purchased in preparation for our chickens. 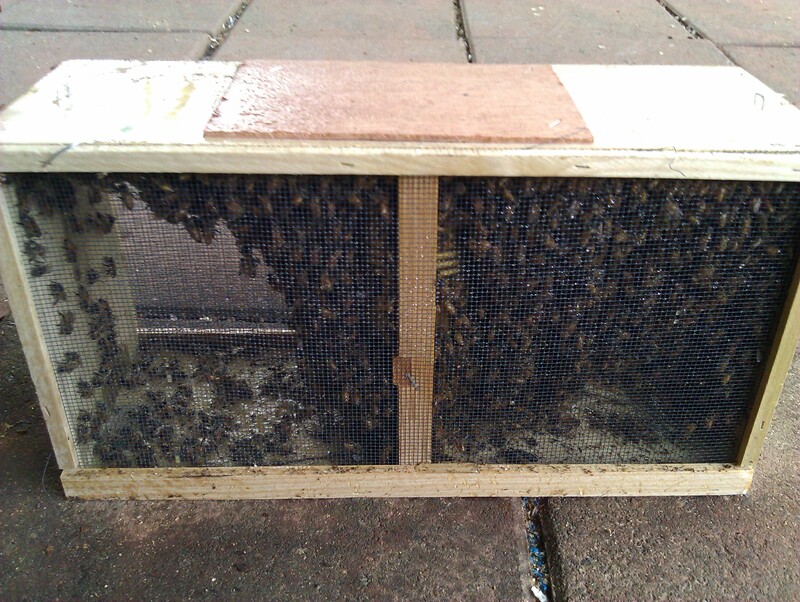 We filled them with the syrup and placed them to the right of the divider, on the far end from the hive entrances. As you can see the divider is night a tight seal, allowing the bees access to the feeder while discouraging them from building comb on that side (we also only put top bars on the entrance side of the divider). 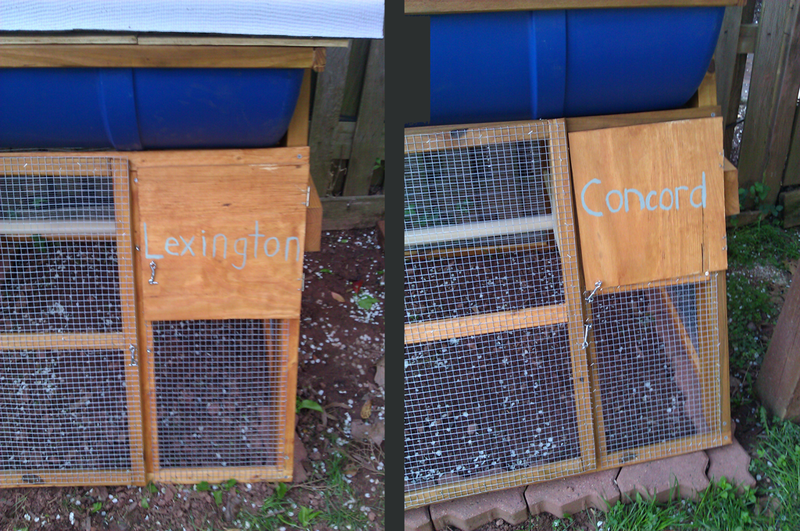 The last thing we did to the hive coops was christen them with names. 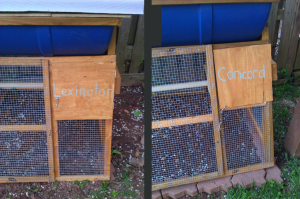 We settled on the names Lexington and Concord, in honor of the battles that began our nations quest for independence, representing our own quest for independence! Check back later to see how we got the bees into the hives!